Model Ara, classic black body, pins in timber and polarized lenses in Brown vintage wood-effect. Ultra light. Just 20 grams of weight, or you will notice them sunsets! Ultra comfortable. Forget the sweat, enjoy the summer. 100% water resistant. Worry, get wet! Tradition. PIN made by hand with the best tropical Woods, wears a unique product. Vision. 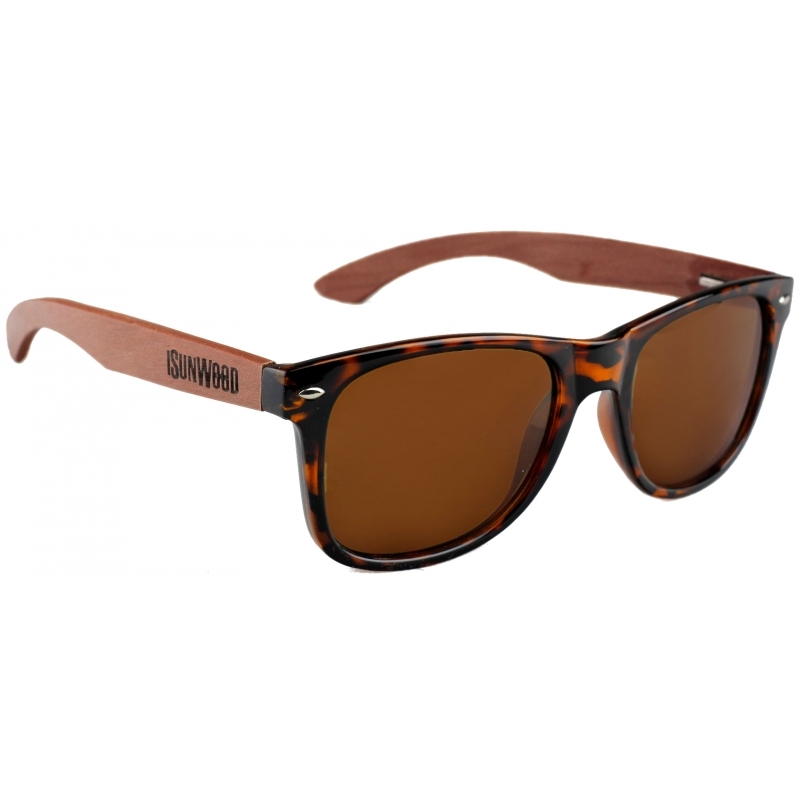 The best UV 400 polarized lenses of the market, so simple! Fashion. The perfect complement, luce originality. Certified. Maximum quality components. CE and FDA. Resistant. Made to last, anything you can with your iSun! 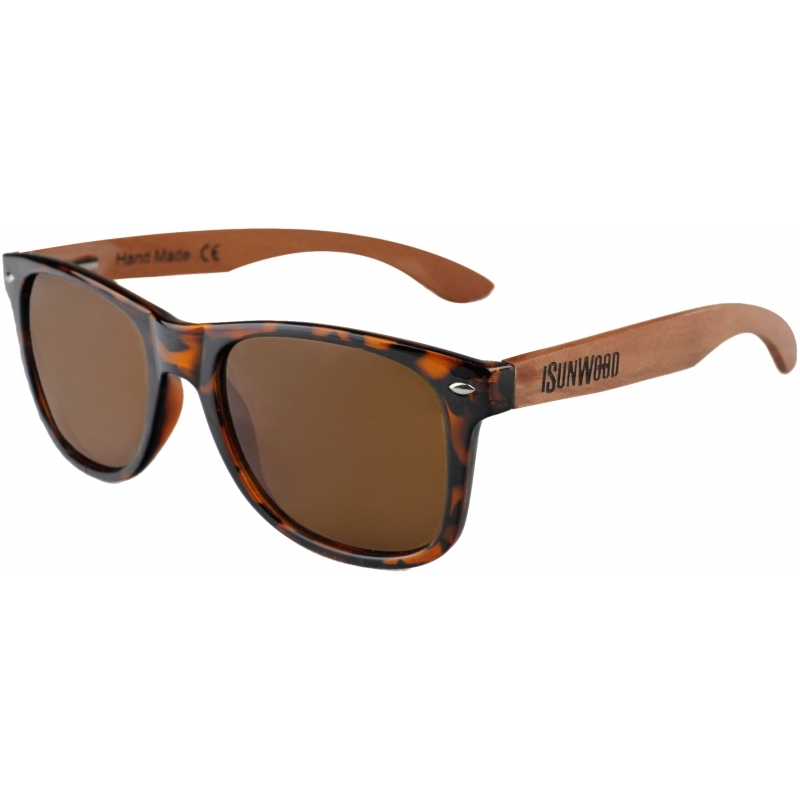 Light, comfortable, fresh, sustainable, original, artisan, water resistant, wood sunglasses iSun Wood. Thousands of people already enjoy our glasses, who are you waiting for your?. The uv400 polarized lenses, are simply the best on the market, you don't doubt!, they not only look after your view in the most extreme weather conditions, if not that provide you great benefits. Polarizate and you will see the different life!, promised!. The reflections of the sea were finally forgotten, facing nature, and watch it from your your, you've never seen sea so transparent! feel the nature in its splendour!. Leads, and relax... now the reflections of the road will become a thing of the past, your driving more responsible will be thanks to the unparalleled support of our lenses, relax your eyes and give you a vision rich in contrasts. A unique product that combines the best of artisan traditions with the best technologies of precision in the manufacturing process.